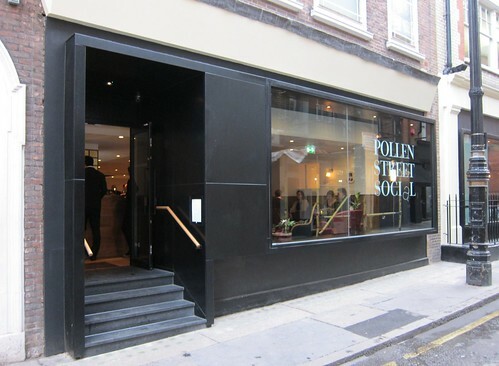 By the time you would have read this write up, you would probably have read everything you ever wanted to know about Pollen Street Social. After all, it appears to be the new Dinner, the must visit location in the capital. People went crazy when the phonelines opened (myself included), all scrabbling for a reservation, and much like Dinner, I was really pleased to have got a table a few weeks into their opening. Damn and blast. As luck would have it, my long and luxurious with some of the lovely folk of twitter was cut short by work. Scheduling our anniversary party on the same night as our reservation, a party where all our customers were invited, it would have to be an eat and run mission. In short, I thought the food was pretty enjoyable. 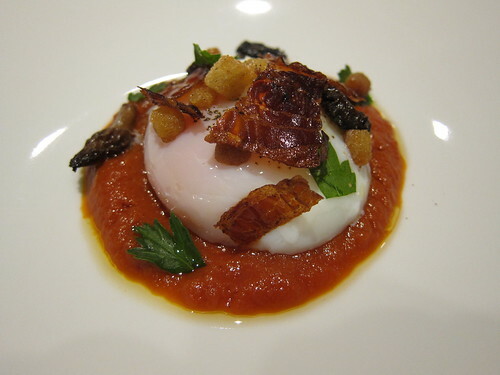 My starter of the English Breakfast was clever, nice to look at, and when the perfectly cooked egg was pierced, the egg released it's golden yolk over the whole dish. The bad part, three spoonfuls later it was all gone. 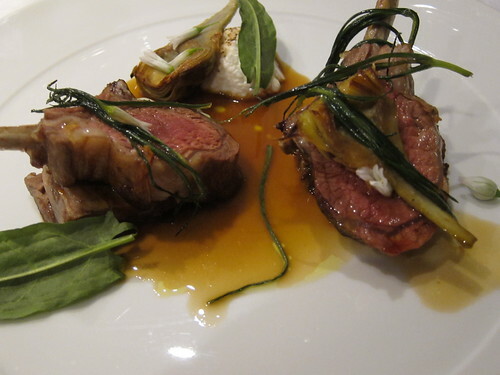 The lamb dish, what can I say. It was nice and perfectly cooked. They definitely know how to cook meat. Interesting review. I also had similar feelings about the pork dish. 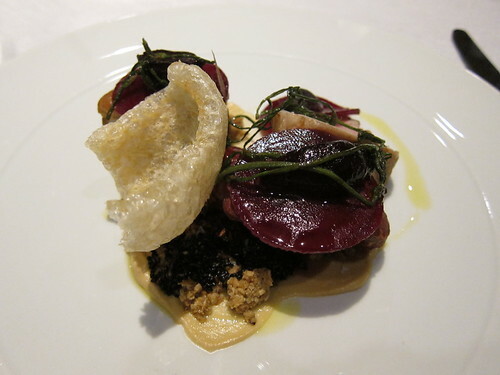 I thought the stuff under the pork (grains, hops and black sesame seeds) spoiled the dish completely - way too bitter with an odd texture. 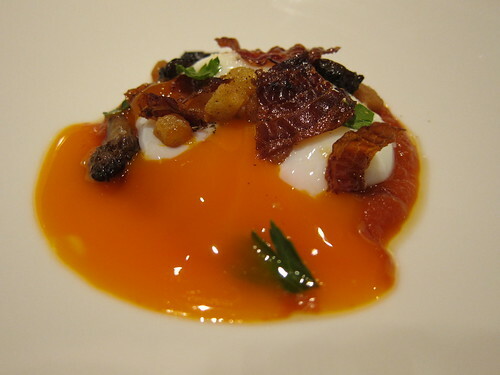 On the whole though, I think PSS is a fun addition to the London dining scene. It's a bit pricey but probably worth it. I went for the lunch meal which is a lot better value for money and meant I had lower expectations. Meat is definitely their strong suit.